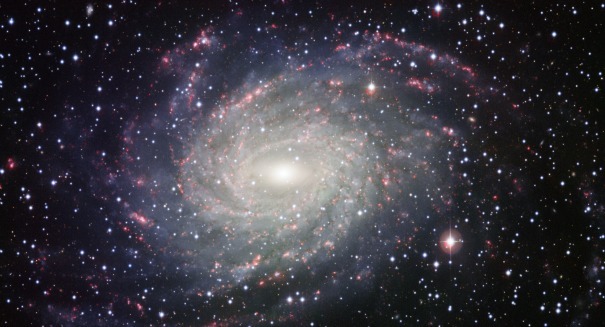 A recent study explains why our home galaxy remains invisible to the naked eye. Have you ever noticed the spinning strands of our cosmic home, the massive spiral galaxy known as the Milky Way? As we reported recently, if you’re in the unlucky one-third of humanity living in an area with high levels of light pollution, scientists say you have a slim chance of looking up at night and seeing one of the arms of the spiral galaxy in the sky. But what about light pollution prevents a third of people living on the planet from witnessing the galaxy? A team of scientists working with the National Oceanic and Atmospheric Administration recently released a world atlas of light pollution, mapping out the regions from which the night sky is obscured by man-made lighting. The map reveals that one-third of all people on the planet, and a whopping 80 percent of Americans, have no chance of seeing the brilliant stream of stars that make up our home galaxy in the sky. The atlas was published in the journal Science Advances, and uses high-res satellite images and careful measurements of the sky’s brightness from various points on the ground to map out the impact of light pollution around the world. The scientists found that light pollution was worst in highly populated areas like Singapore, South Korea, or Italy, while areas with the least light pollution are what we might consider extremely remote; primarily national parks and deserts in the U.S. In a world before electricity and 24-hour cities, a person may very well have looked up into the sky and seen the vast expanse of our home galaxy with his or her own eyes. Now, for many people around the planet, the Internet provides the best chance at getting a look at the Milky Way. A press release from NOAA describing the details of the study can be found here.